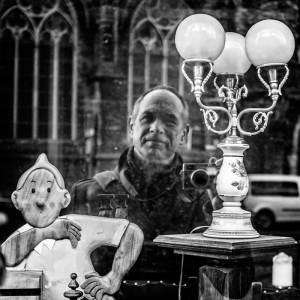 Nico Ouburg – Street Photography | I'm trying to spot the unusual in the usual. Overall, Cartier-Bresson serves as a source of inspiration for me. He was the immediate cause of the French expression: “Le moment décisif”, the decisive moment. He was especially skilled in capturing (all) things in ordinary life, in such a way that they would pass into eternity. This is what I try to pursue in a humble fashion. Nevertheless is the photographer Ed van der Elsken my greatest example. By viewing his photos I started with (my) street photography.